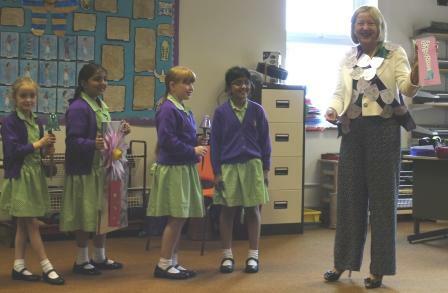 This morning, on what was her final assembly at the Girls’ Junior School, Mrs Croston said an emotional goodbye to the girls at Beardwood Bank. However, today was unusual, as she could sit back, relax and enjoy what the girls had planned for her. 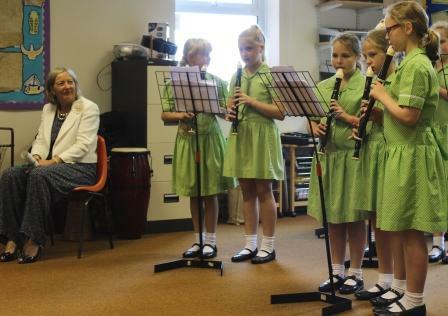 The Year 5 recorder group entertained everyone as they made their way into assembly, before Mrs Laverick began by introducing Year 6 who performed a special adaptation of a goodbye poem, entitled “Goodbye Mrs Croston”. 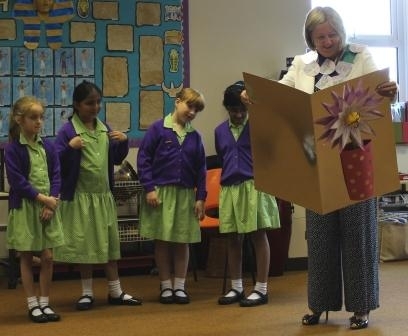 Presents galore were soon to follow, as Mrs Croston gratefully received an array of gifts including plants from the gardening club, a book of Westholme designed tights, purple and green ceramic toadstools and some beautiful handmade cards from each year group. The staff also presented her with a book of poetry for every occasion and a special Westholme teddy bear. 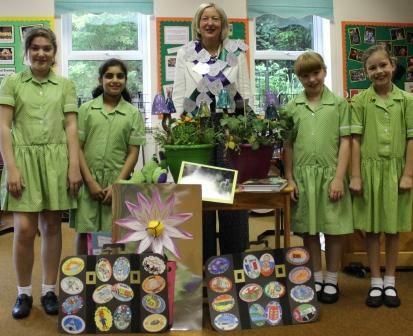 Mrs Croston rounded the assembly off with a special message for the children – keep learning and stay determined. Finally, the whole school stood up to perform a special version of a well loved hymn, ”˜Break Out, Reach Out’ which contained Mrs Croston themed lyrics throughout. Bye, bye Mrs Croston, from all at Beardwood Bank.